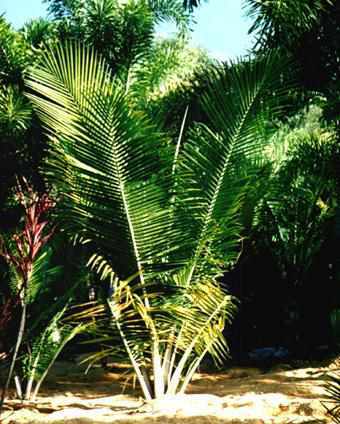 Description: -This form of Ravenea grows very well in the subtropics and should grow in Sydney or California in a protected area. Will grow to 20m high leaves have a lovely heavily arching form to then crown shaft is whitish trunk slender compared with R. Rivularis. Likes plenty of mulch up to 12" thick 300mm. Water regularly through the dry months and fertilize once a year. Growing Climate: -Temperatures from 0.C to 35.C.